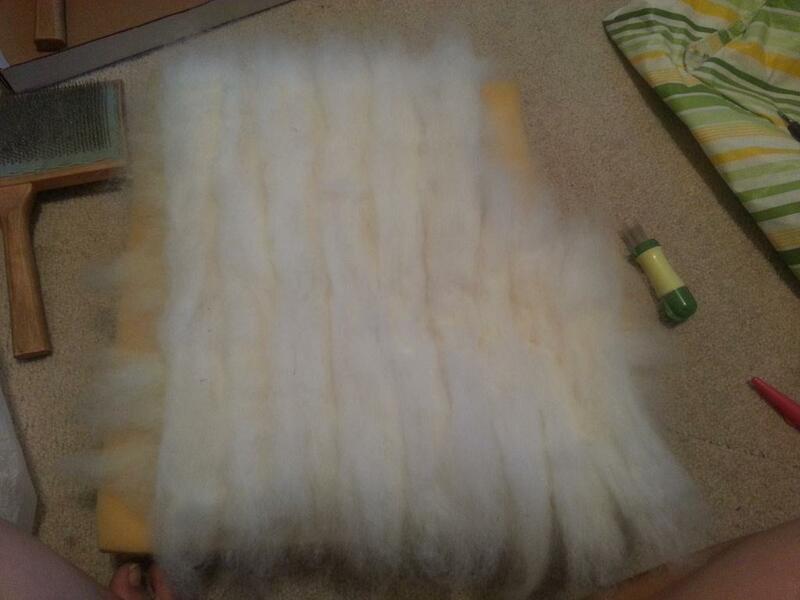 ← They’re Here: Custom Alpaca Rugs! It’s been over two years since I (Kirstin) did any felting at all, but last weekend, I was feeling inspired. With the charity show coming up on September 7th and the Christmas crafting season in full swing (I know, really), it was time to make more stockings! 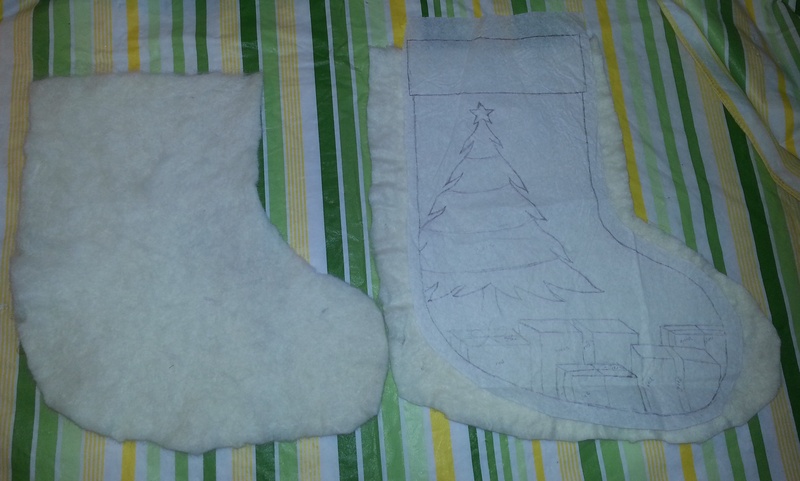 I use a combination of needle felting and wet felting to make the body of the stocking. Needle felting uses barbed needles to tangle the hairs together, and wet felting uses soap and agitation. 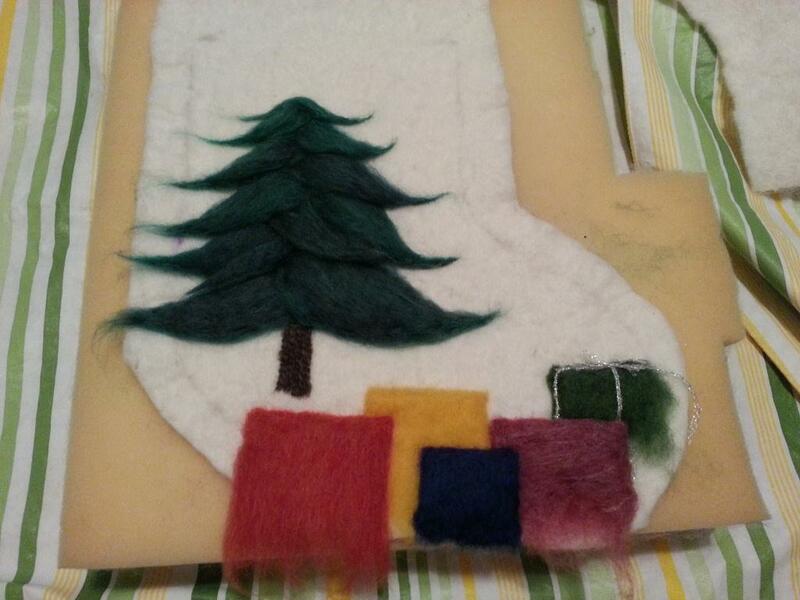 I overlay several layers of fiber (this is from Cici), and needle felt it loosely together. Then I wash it in alternating hot and cold water baths, to shock it into tightening up. It’s hard to see in the pictures, but the tree and presents are all three dimensional. I actually spent all last night adding ribbon to just two of the packages, because I’m that detail oriented. And slightly crazy. I think once I’ve decorated the tree, I’ll be less underwhelmed with the design. Hopefully, anyway, because this was a lot of work. This entry was posted in fiber art and tagged Christmas, Christmas stockings, felt, felting, needle felting, stockings, wet felting. Bookmark the permalink. They are looking just beautiful and I am with you – is summer almost over with the holidays looming over us?